During the summer of 2017, Sports Illustrated NFL writer Tim Rohan was assigned to write an in-depth story looking back at the 2009 murder of former Titans star Steve McNair by SI true-crime editor Adam Duerson. At some point, he mentioned the story to Peter King, the NFL writer who left SI in May. “(Adam) said, ‘Why don’t you take a look at Steve McNair?’ And Peter was the one who suggested it be a podcast, and Adam took it and ran with it,” Rohan recalls. 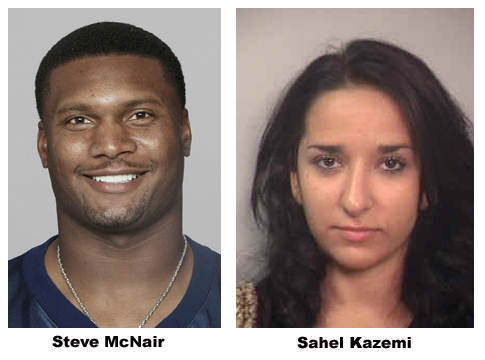 The result was “Fall of a Titan: The Steve McNair Story” narrative podcast which debuted on Oct. 17 at SI.com. Not only was it a first for Rohan, but the first such podcast SI has attempted. It airs weekly through Dec. 7. “This is the first-ever SI true-crime narrative podcast. I don’t know if they’re talking about doing more of them, but I can say this is the first time we’ve done it and I’m sure editors and such will be paying attention to see how this one does,” Rohan says. Investigative true-crime podcasts like “Serial,’’ have taken off in popularity the last few years, and Rohan says he’d be open to hosting another down the road. “It seems like people have been listening, and then responding well to it,” Rohan adds. “Would I do another one? I’ve really enjoyed the medium. It gives you a chance to really tell a long, in-depth story and the dynamics of the written word. You actually hear the subject’s voice.